Nurses from a range of departments at Fox Chase Cancer Center recently came together to put on a taco night for guests staying at the nearby AstraZeneca Hope Lodge of the American Cancer Society. Hope Lodge offers lodging at no cost for out-of-area cancer patients being treated in the Philadelphia area. 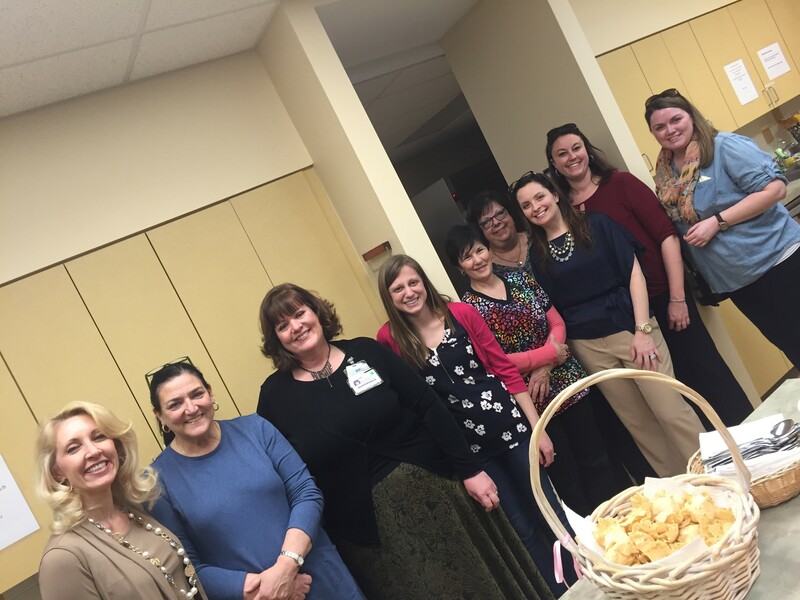 Spearheaded by Colleen Sherman, RN, and chair of nursing professional development council, a group of 15 nurses volunteered to prepare chicken and beef tacos with all the fixings, taco soup, salads, and desserts. They served dinner to a group of about 40 people. It also allowed the volunteers to interact with the guests in a different atmosphere, where they could chat and learn more about each other outside of a medical setting. Due to the dinner’s success, Sherman is already planning another to be held in the fall.